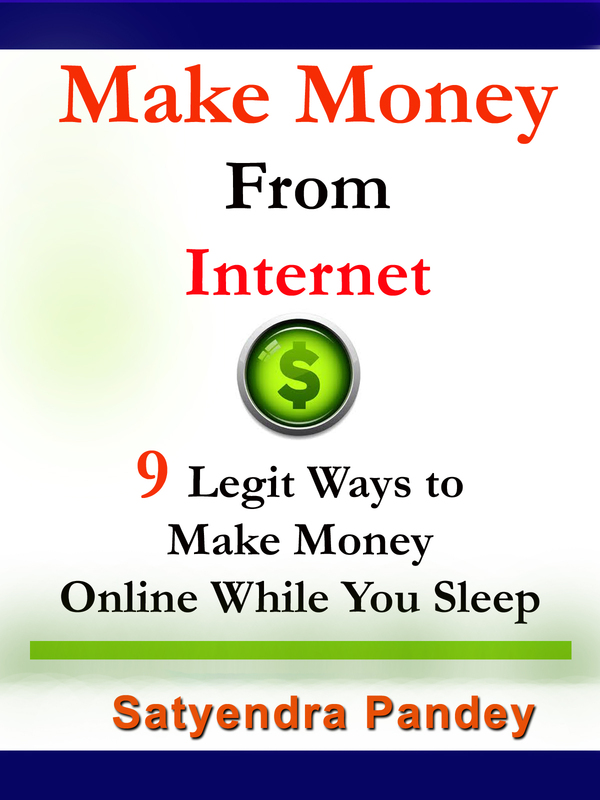 Make Money from Internet - 9 legit ways to make money online is an ebook showing you the 9 legit ways to make money on internet. I read the book but I purchased the book on Amazon but here is the chance for all of you guys to read and download this book for free. Make Money from Internet written by Satyendra Pandey is available for free downloads for the next 4 days. If you miss this chance this book is going to cost you around $1.99 that is INR 110 after 5th march. For all residents outside India, this book is going to cost you even more $2.99 Amazon is giving discounts but very little. So why to miss the chance to download something which is really useful considering you want to earn money online. 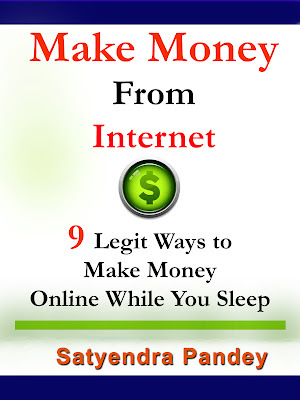 Secondly, The methods explained are easy to follow and some can make you a good amount of money while you sleep.